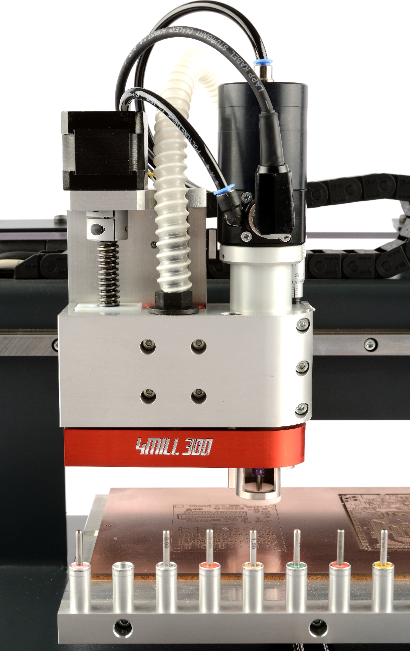 The 4MILL300ATC is technically equivalent to the 4MILL300, but it has 12 possitions toolchanger and spindle with pneumatic clamp. 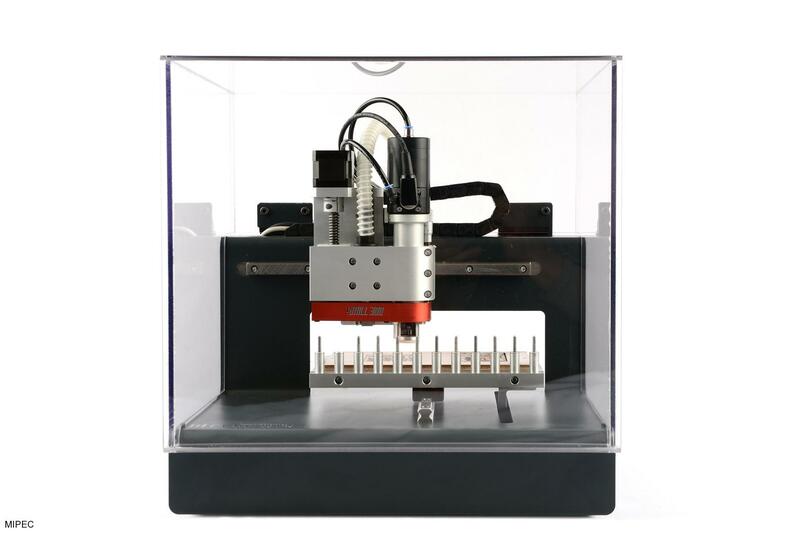 This is our most popular machine. The combination of automatic toolchanging, high precission and possibility to make dozens of jobs makes this machine one of a kind. 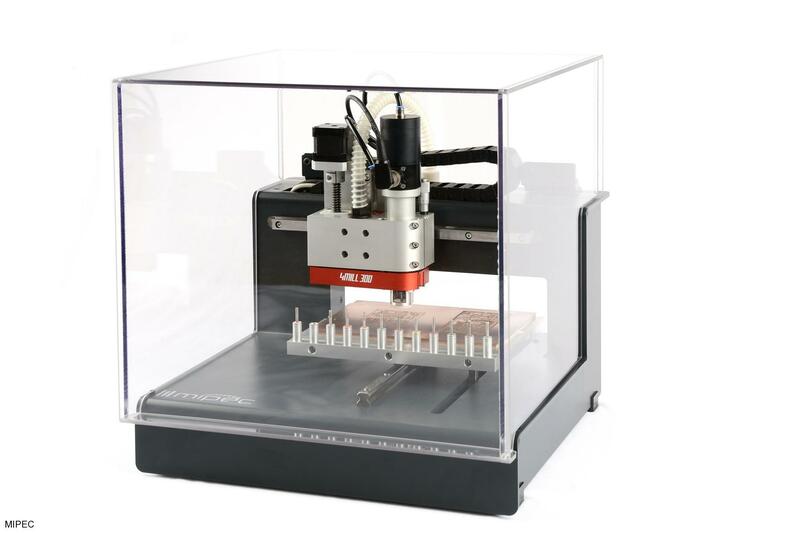 This machine has an extremelly high precission and has all the required features and accessories to produce Printed Circuit Boards in an easy and fast way. 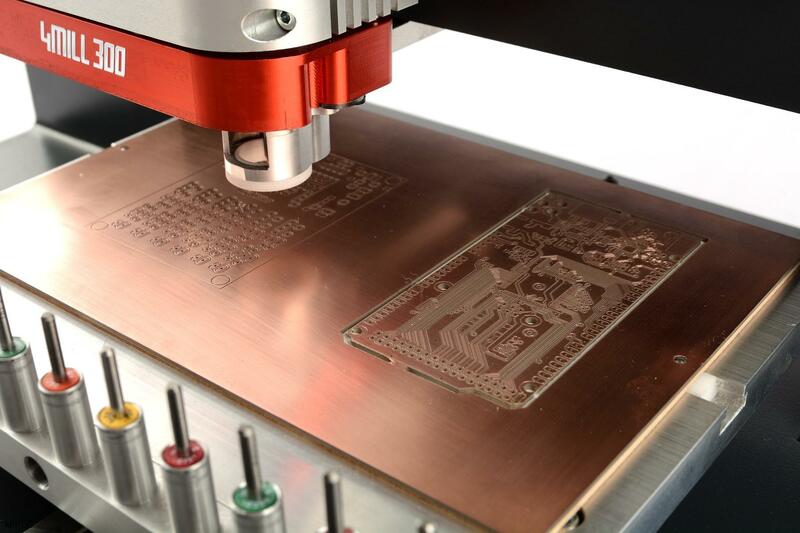 But this machine can do a lot more: Machining of small electronic cabinets and front pannels just two names of examples. 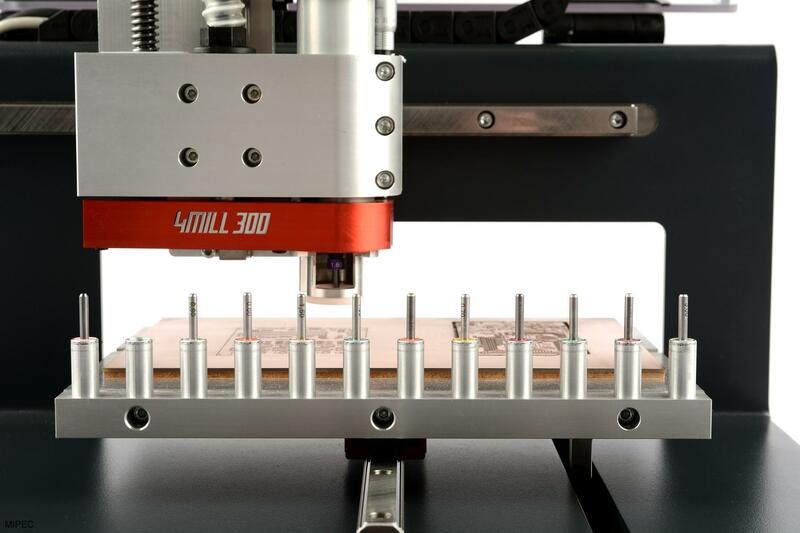 The 4MILL300ATC is an excellent choice for every development or design lab as well as for departments and companies that must keep PCBs designs inside their own labs for security reasons. 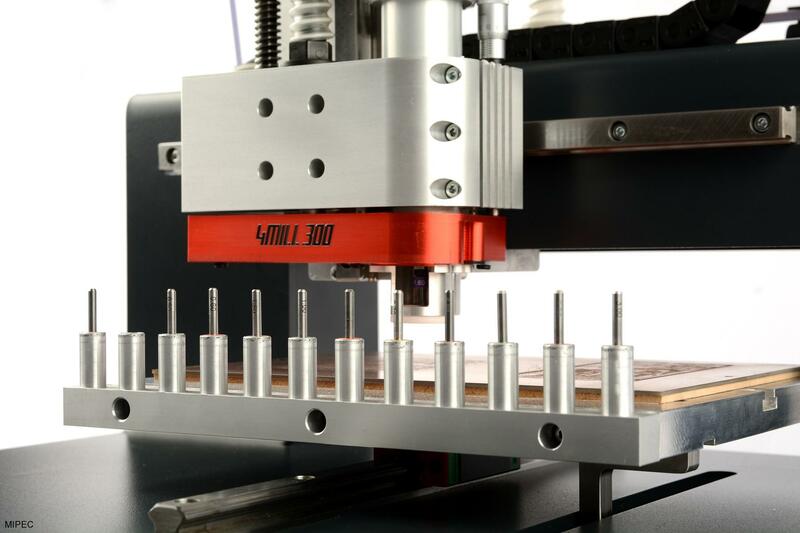 Small product runs and prototypes can be easily fabricated fully unattended with extremely high accuracy.